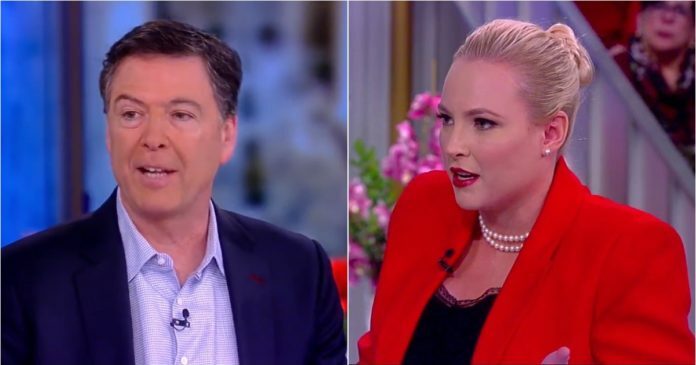 Meghan McCain wrangled with James Comey on The View Wednesday. The former FBI director is appearing on talk shows to promote his new book. McCain took him to task immediately. “I want to believe you’re not a political person,” McCain said. In addition to his book, Comey has dropped a few bombshells in recent interviews. The best that can be said about his cash-grab is that insults about Trump have no substance. He doesn’t actually reveal anything beyond his own bitterness and bias. “You said very incendiary things about my party this morning,” McCain said. “That’s a good question… I don’t think of it as my politics. I think of it as my values,” Comey replied. Comey was horrible at his job, that’s why he was fired. He managed to make both Democrats and Republicans hate him. 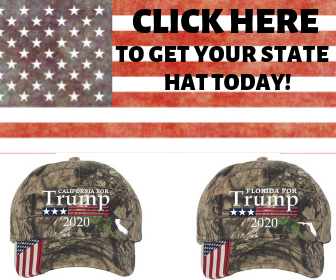 He’s come back from the professional grave to try to profit on a wave of anti-Trump sentiments. “I don’t care whether people support a Republican or a Democrat, because I’m not either. I don’t care who they support,” Comey said. Comey’s “values” led to him being disgracefully removed from his post. It’s a joke that he’s being taken seriously now. The left forgets one of their complaints about him every time he says something awful about Trump.